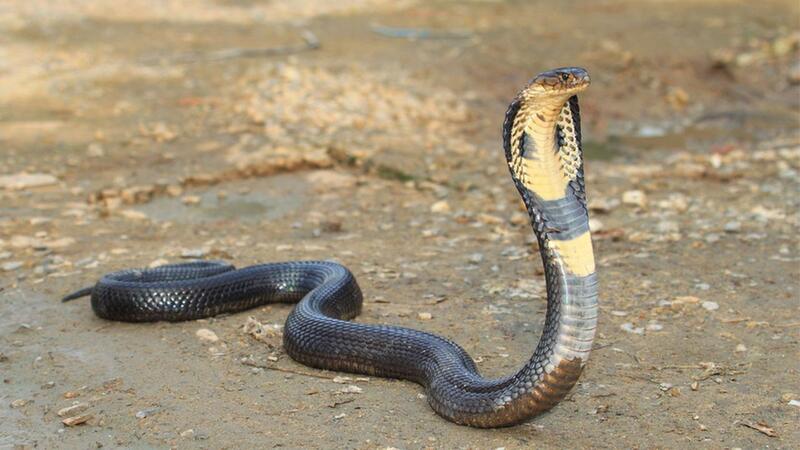 Right from my childhood, I have learned from elderly people in the village that some people have the special power to treat snake-bites without requiring the victims to go to hospital. Even my late father used to tell me how he was once bitten by a snake on his finger while fishing in the village river and that he was treated by a fellow-villager simply by chanting some kind of Mantra. It seems he didn’t even have to go to hospital. Nevertheless, I am not able to understand how this process works and even to this day, it is a mystery for me although I have my own sister-in-law in my family who has been treated by such a healer. My youngest sister-in-law was just four when she was bitten by a snake while playing in the field in her mother’s presence. Her mother saw the snake and killed it with the sickle. Her visually impaired elder brother was the only school-going member of the family and he played a crucial role in making the right decision on right time. He had not forgotten his science lessons from grade 6 about the first-aid for snake-bites. He immediately advised his parents to tie her thigh with a rope so that the venom wouldn’t progress upward into the body. She was bitten at the ankle. So it was safe to tie her at the thigh. My wife does not remember the details of the incident but she says the only vivid memory she has is that of her sister crying and wildly writhing with pain. My wife still wonders why her parents took so long to take her to hospital. She was bitten before noon but she was taken to hospital only in the evening. The hospital was about two hours’ walk. What made the situation worse was that when they got to Sibsoo hospital, the doctor was not there and the nurse on duty directly cut out the rope tied around the patient’s thigh. In a flash of seconds, the venom moved up into her body and she lost her consciousness after a few minutes of excruciatingly painful writhing movements and shrilling cries. The nurse cut a gaping wound around the place where the snake had bitten probably in a bid to let the blood flow out and cleanse the poison. But nothing the nurse initiated could resurrect her. The doctor was called but when he arrived, he scolded the nurse for cutting the rope and said now it was too late for him to do anything. The patient was literarily dead: no physical movement, no breathing, no any other sign of life. They were advised to take the body away. But to the luck of all of them, an attendant of one of the patients admitted in the hospital showed up just as they were leaving and it was he who helped them get to a spiritual healer who could treat snake-bites. Since he had his own car, it became very convenient for them to get to the healer fast. They carried the patient into the car and hurried away to where the healer was living. The healer was an old goldsmith who was totally deaf. They had to communicate to him through his nephew who would write down what they told and the healer would read it. It was a long process of communication but it worked. The healer gathered his stuffs and began chanting his Mantra as he made a small quantity of potion with black peppers and some other herbs. He then put the potion into the mouth of the patient who was still dead like a log. He said if the patient vomits after sometime, she would get well. Otherwise, she wouldn’t make it. Everybody waited with their fingers crossed and prayed for the miracle to happen. Suddenly, the patient vomited out some greenish stuffs and she began to move and cry weakly. The healer guaranteed that she would be alright in a few days’ time. She was rushed back to the hospital where she was monitored for a week and then discharged. Thanks to such a spiritual healing system, she got the second chance to live. Today she is 26 and to me, she is the real miracle girl. I know science will not buy such miracles easily but I feel there is something really mysterious about such spiritual practices. I have not heard of such miraculous ways of treating snake-bites in Buddhism but in Hinduism, such practices are quite common. I have been told that there is only a few paragraphs of Mantra that should be chanted to cleanse the snake venom from the blood but the Guru must be qualified enough to transfer such spiritual powers. Believe it or not, I think the world still has a lot of miracles and mysteries that challenge science.